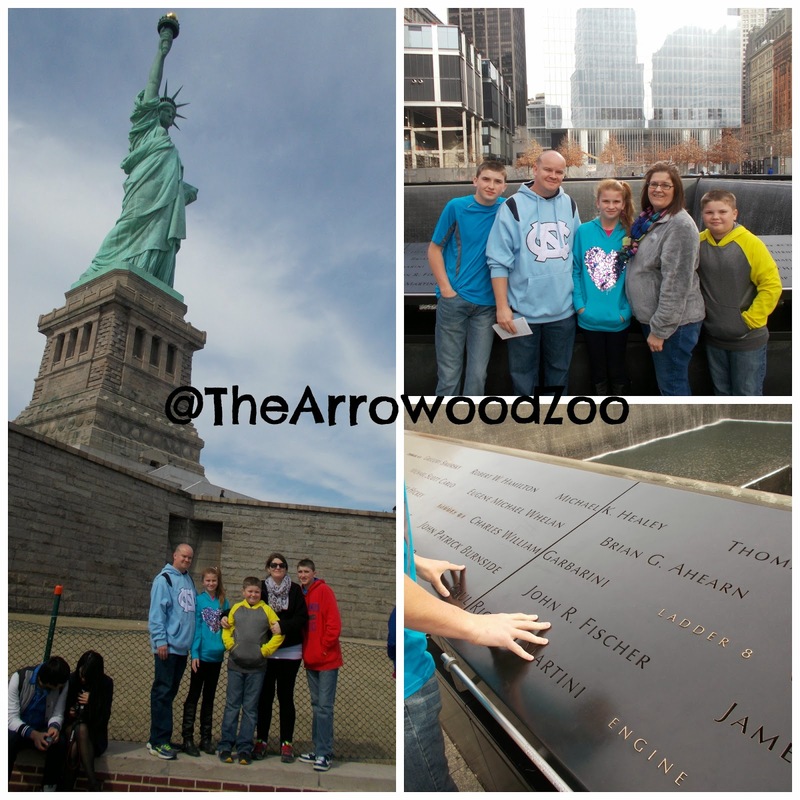 The Arrowood Zoo: New York City Trip!! Oh my I don't know where to start. 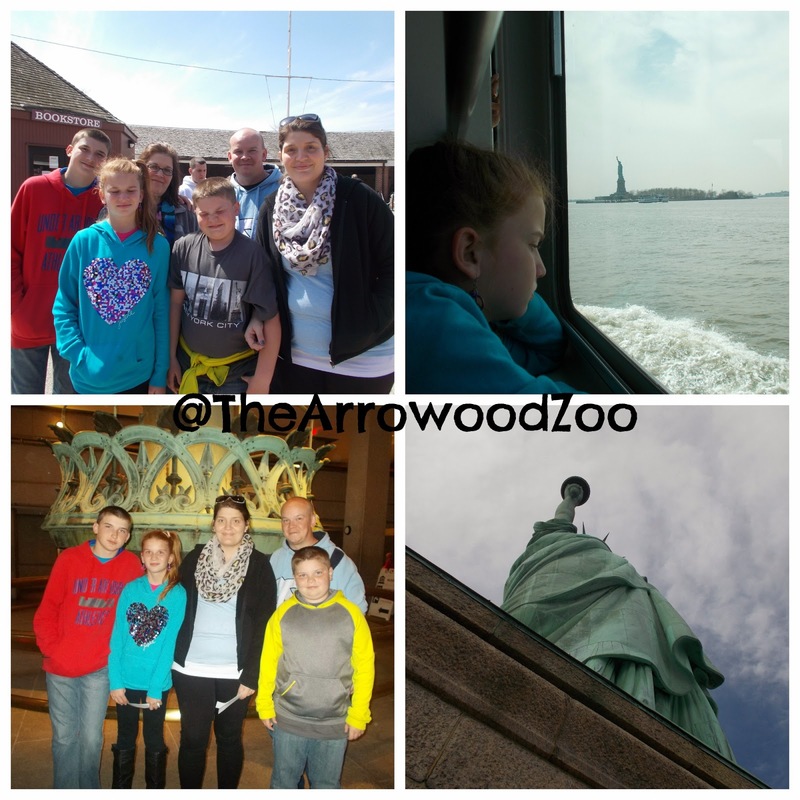 We had the best time ever exploring NYC. We had never been to New York before. We took my family plus my momma. It took us 12 hours to drive and we left at night so the babies could sleep but momma and daddy couldn't sleep! My momma was a trooper she stayed awake and helped the person driving stay alert because it was difficult some of the time! 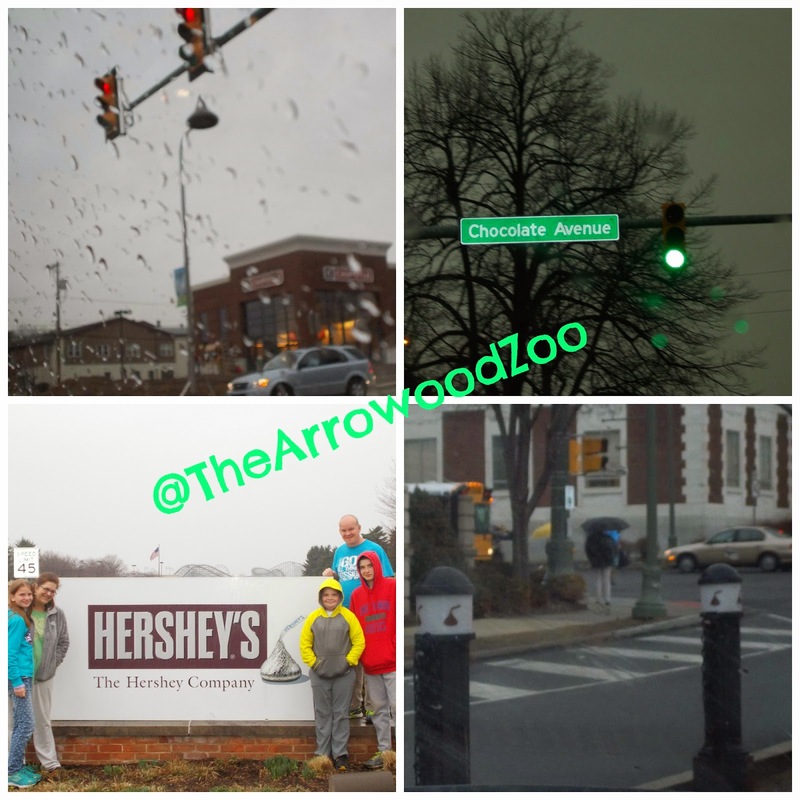 On the way we needed a little break so we stopped in Hershey Pennsylvania and explored. It was still early morning and not much was open. We had hoped to go inside the museum but it was closed. We loved the entire towns atmosphere! Everything was tied to the chocolate theme! The street lights was the cutest! 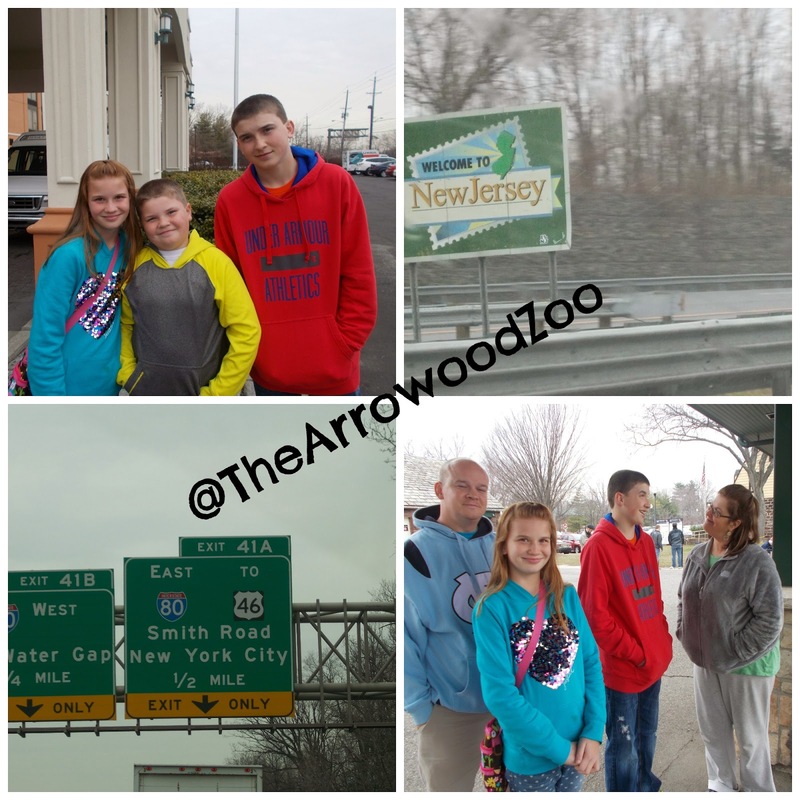 We arrived Wednesday in New Jersey which was where we had our hotel booked. It was a wonderful place to stay, roomy and very clean. The desk people where very helpful with all our questions. I highly recommend the Hyatt Fair Lawn. Once we got checked in our room we went roaming around. The shuttle took us to the NJ train station for us to go into NYC for the first time. The train ride was about 40 mins and we ended up at Penn Station. I can't explain the excitement and fun we had. 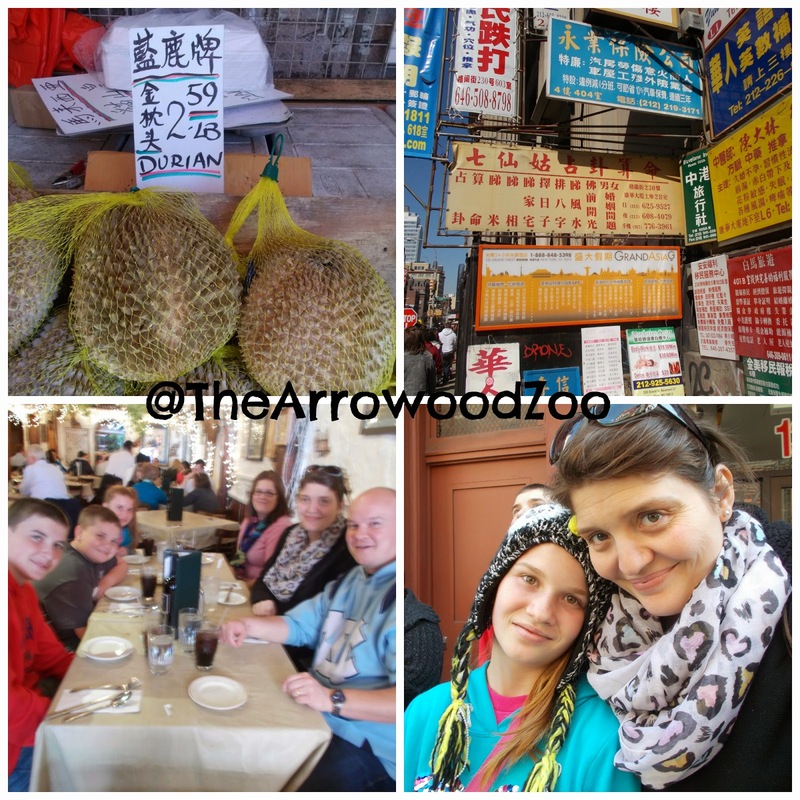 Wednesday we made a trail run because we had paid a lot of money for a 9 hour tour Thursday and we didn't know anything about the train ride, streets and where to even meet, so we tried everything out because we didn't want to waste the $900 on our tour by missing the bus! 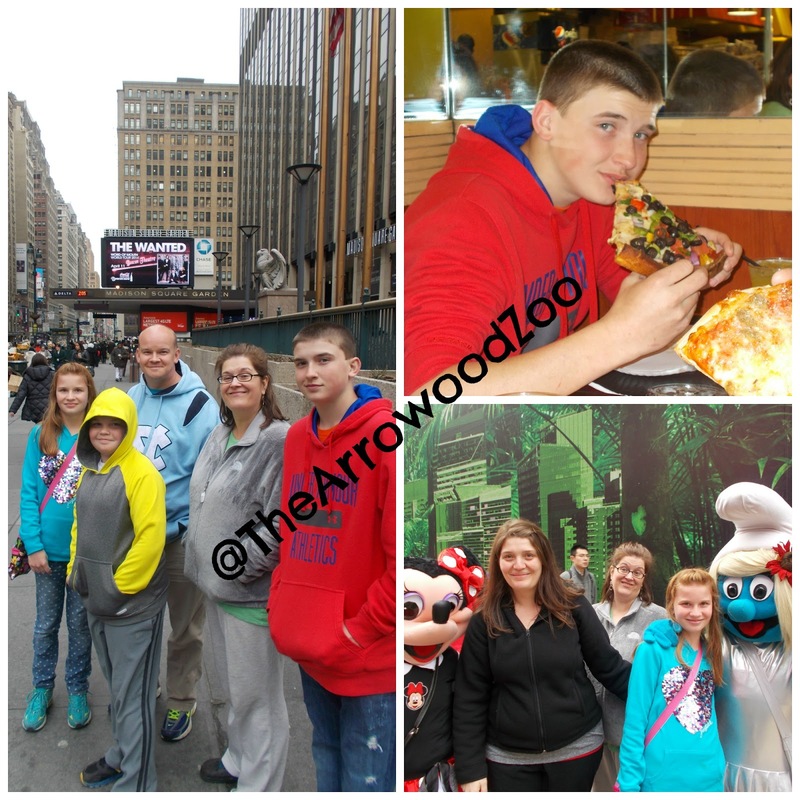 We enjoyed NYC pizza that day and it was awesome! Thursday we made it in time for our tour. 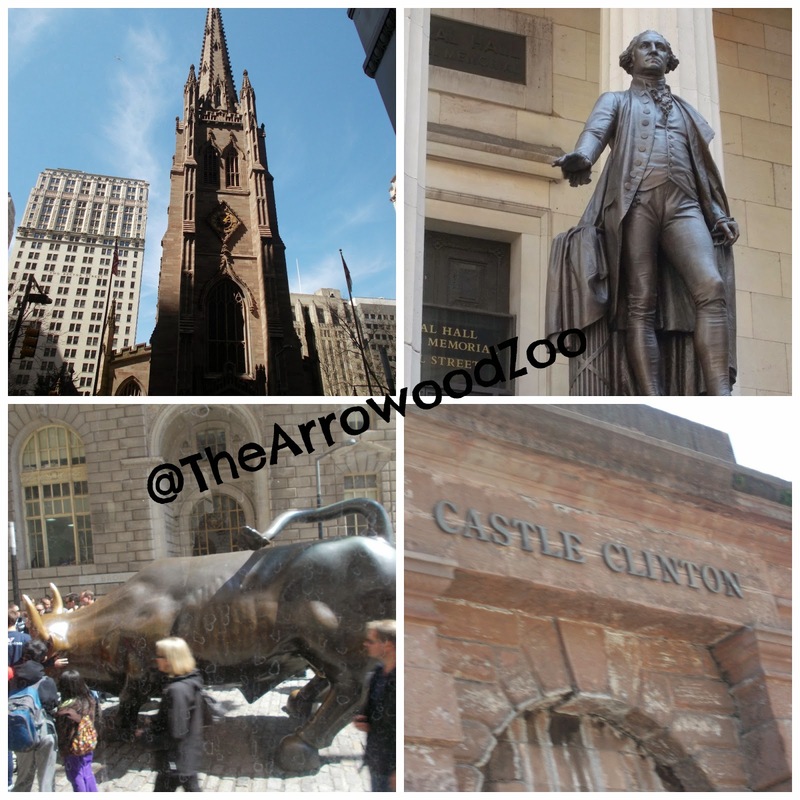 It was a 9 hour tour of the city and New York Shuttle Tours did a great job! We saw lots of sites that we had only imagined before going. Times Square was awesome to see simply because we watch the ball drop every New Year! We have a tradition on New Year's Eve, game night/movie night until midnight then sparkling grape juice. Love our family traditions and because of that it was great to be there. Saint Patrick's Cathedral was beautiful but we really would have enjoyed it better if there hadn't been so much construction on it. 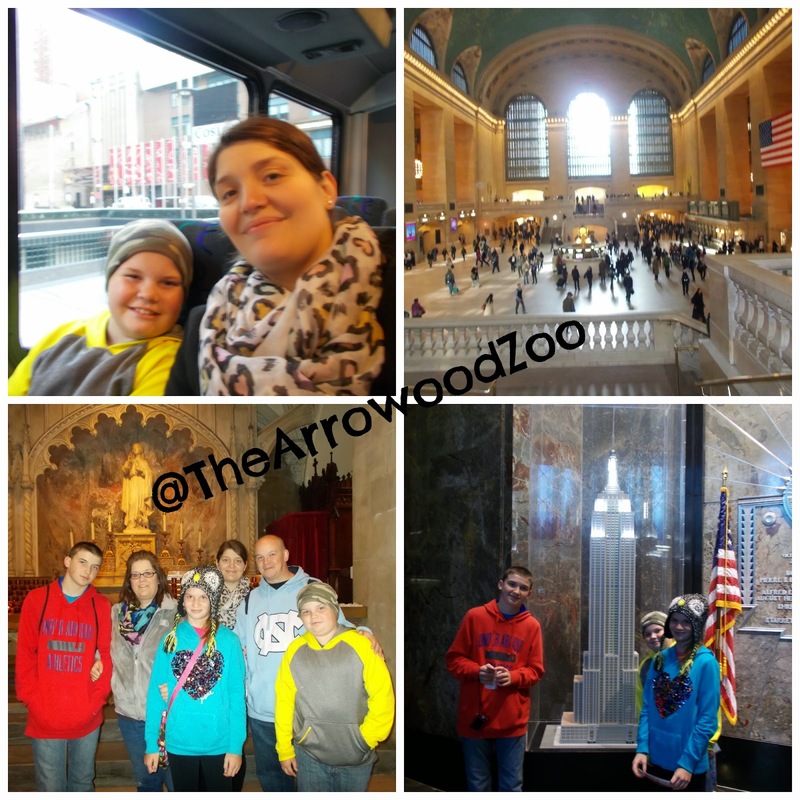 Grand Central Station was awesome! You see it in so many movies and it was awesome to just be inside of. Moms favorite. Empire State Building was an awesome experience that everyone enjoyed. The view from the top was beautiful and you where able to see for miles. Everyone could enjoy that view because up above all the gigantic skyscrapers you could actually see the beauty of New York. Little Italy and China Town where actually one of my favorites. I wish we could have had a whole day for China Town. 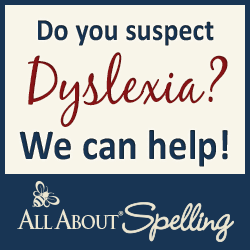 We actually hope to make it back in a few years just to dig in deeper there. We enjoyed a wonderful lunch at Paesano of Mulberry Street. Kevin and mom had Lasagna, Zachary Cheese Ravioli, Kyle had Vegetable Primavera and I had Chicken Parmesan. Lexi had a little of all of ours we shared and all of us was beyond full. Best Italian food we had ever ate. Statue of Liberty was breath taking. I had always wanted to see this personally. This was the one reason Kevin decided to take the trip to NYC instead of DC... Me. I wanted to see her with my own 2 eyes, not from a book or tv. Not only did we love the ferry ride over but we enjoyed being able to go onto the island and climb up the pedestal inside. I know the kids can't appreciate the history or importance of her as well as Kevin, Mom and I can but they can remember the trip and remember seeing this. Mom was very excited because she had never been either! Wall Street I personally cared nothing about other than being able to say I was there. We say the Bull and the overall experience was pretty cool. Trinity Church was amazing! The architect was beyond beautiful. 9/11 Memorial & Memorial Pools was a sobering experience. I remember almost every detail of that day. Kyle was only 1 and Kevin and I can both recall that moment. Because of that my dad had to go to Iraq and it changed my family. Being able to see the site and stand there knowing the historical background was bittersweet. The memorial was beautiful, I would highly recommend going to see it. After that tour we were exhausted but thrilled with all we had the pleasure of seeing. 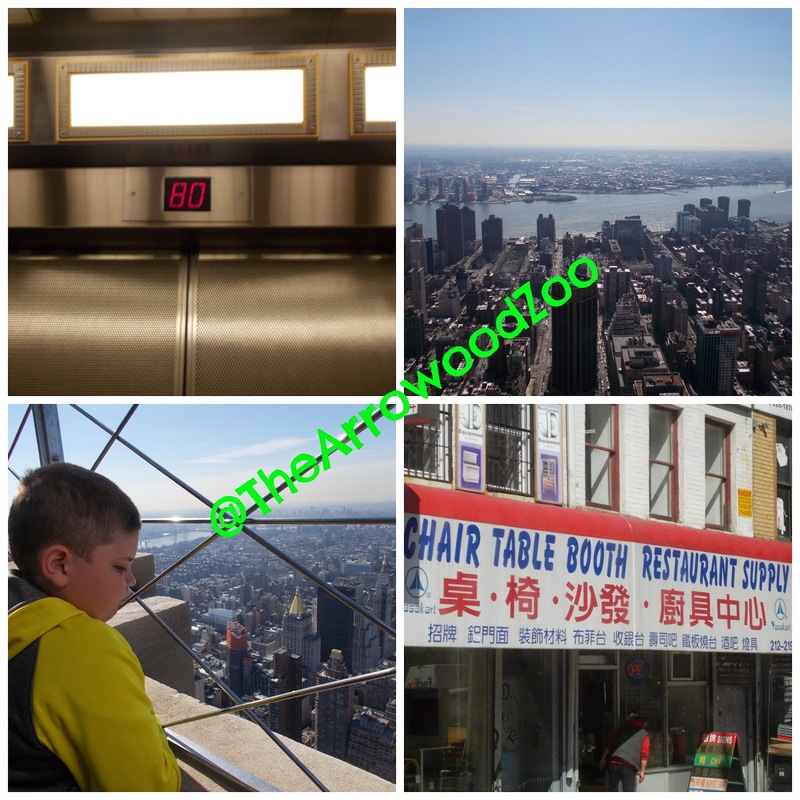 We made several more trips into the city. We had a subway experience and it was something I prefer to never take again! Hated the subway and so did my momma. 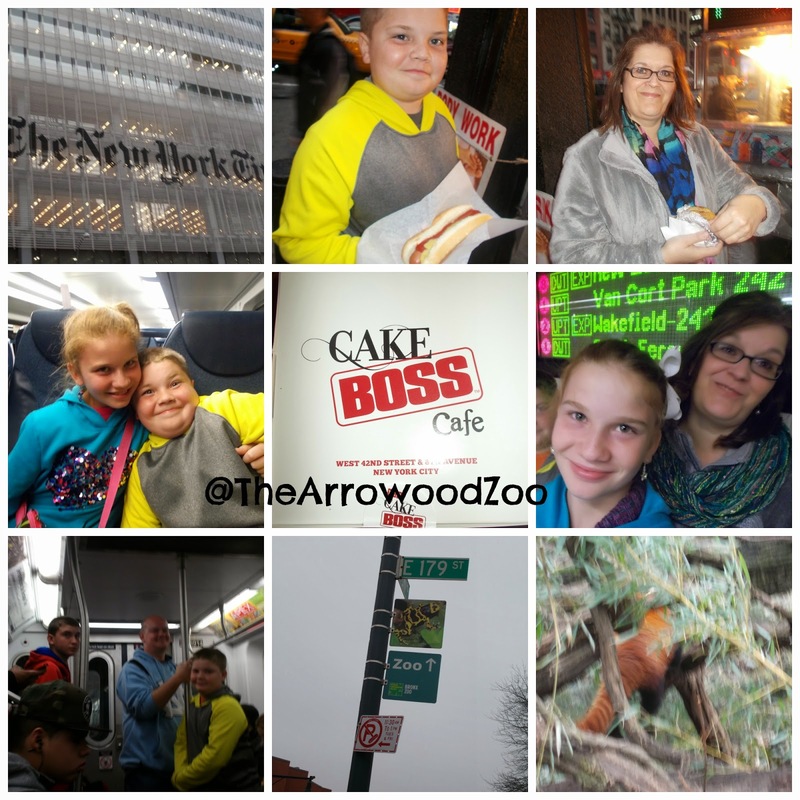 We took the subway to the Bronx, yes the Bronx... See Lexi had begged to see a Red Panda and after searching a little on line before the trip they had some and we had never been to a zoo aside from our state zoo so we thought we would love it. Now the ride to get there and back we didn't like however seeing the Red Panda was awesome! We watched them play and run around and Lexi was thrilled wholeheartedly with seeing them. We visited the Cake Boss and got a Cheesecake that was simply to D.I.E. for! We tried vendor food and actually really enjoyed it! We walked pass so many food vendors while there I guess we lost count at around 400! I know that personally this was the single best and most exciting trip I have ever took. I pray that my children remember the memories we made and the awesome fun we had. It has been 5 months since we visited and we still talk about it so very often. I would love to visit again some day.